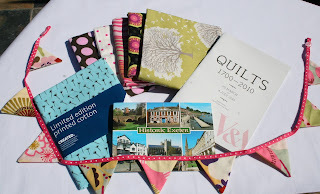 Today I received a package from my secret partner in the Modern Swap, Kerry in Exeter, England. 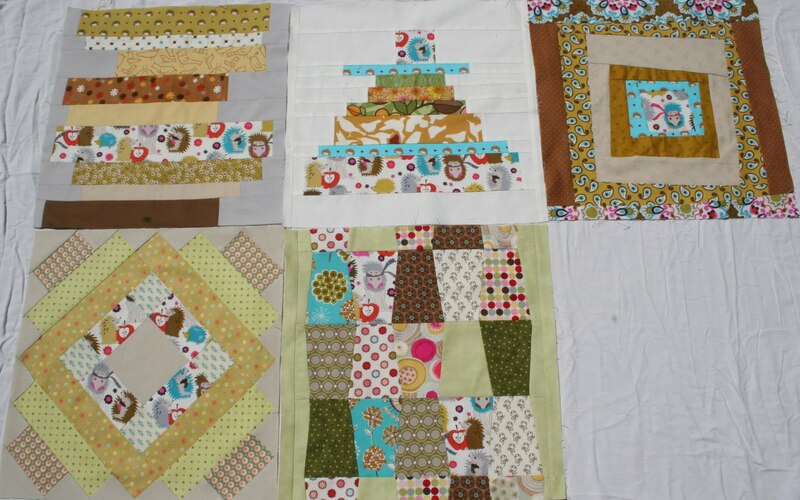 The swap involved sending 6 fat quarters of fabric, a decorative item for our partner’s sewing room, and a handmade gift. 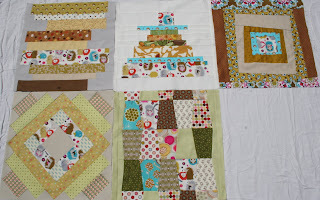 Kerry is a very creative quilter and sent me some adorable gifts. 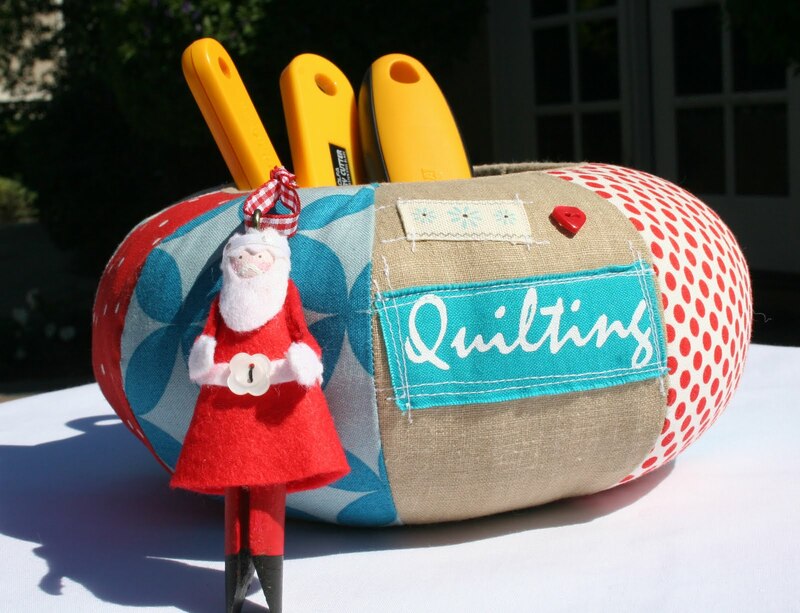 She made me this darling pin cushion caddy which will be perfect on my cutting table ~ a splendid place to park my rotary cutters. And look at this Good King Wenceslas ornament she made. 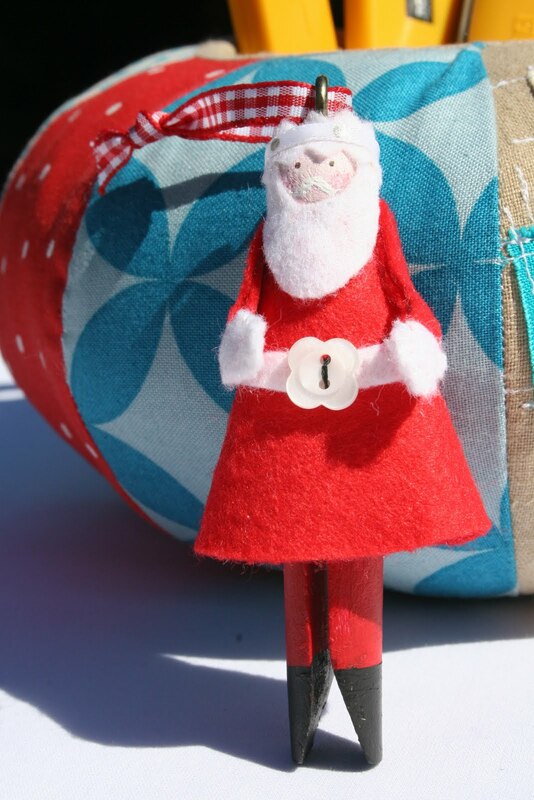 There are some remarkable details on this little ornament! 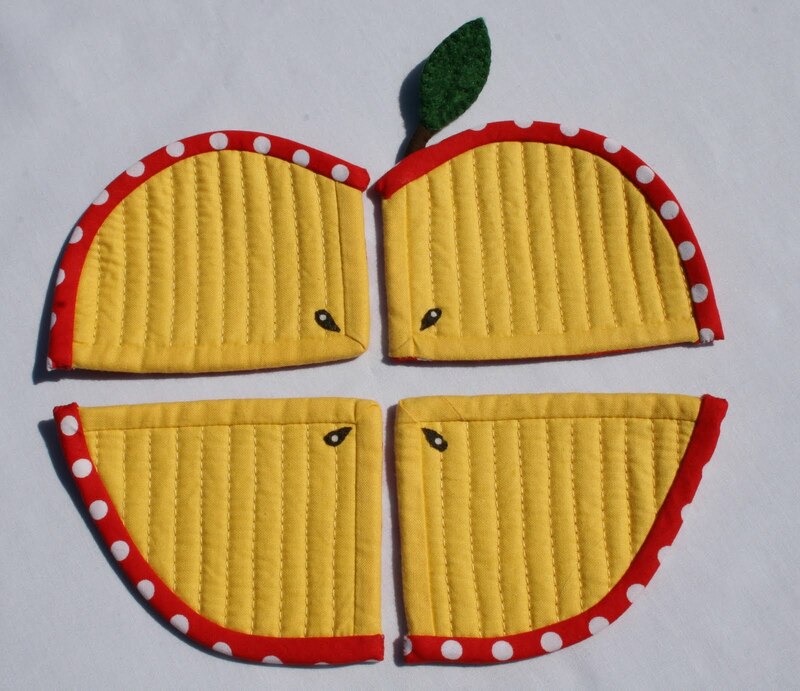 Quilted coasters! Aren’t these just too darn cute? Isn’t that mini-bunting cute? There is a booklet on quilts from the Victoria and Albert Museum collection, as well as a fat quarter of a limited edition print from the collection. It’s completed with postcard photos of Exeter, where she lives. Thanks, Kerry, for your lovely, generous gifts! I will certainly enjoy using each and every one of them. I was certainly lucky to have been assigned such a wonderful secret swap partner. 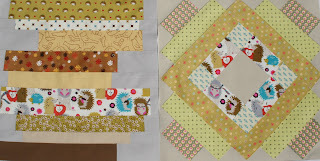 I have to stop signing up to participate in any more online quilting projects so I can do some sewing for myself! 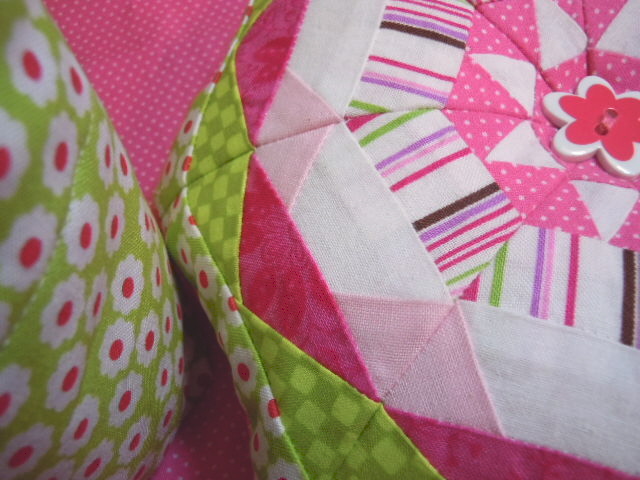 I am finishing up this pillow for a swap I am in. We are swapping a yard and a half of modern quilting fabric, something decorative for our partner’s sewing room and a hand made gift. I know who I am sending to, but I do not know who is sending to me. I have been reading my partner’s blog to get some idea of her tastes. She is a very talented quilter. I hope she likes what I am sending her! So, it’s back to the machine to sew the pillow together and organize the rest of the package. I borrowed the idea for this from my friend Krista in the Journey Round Robin bee. Thanks for letting me use it, Krista! 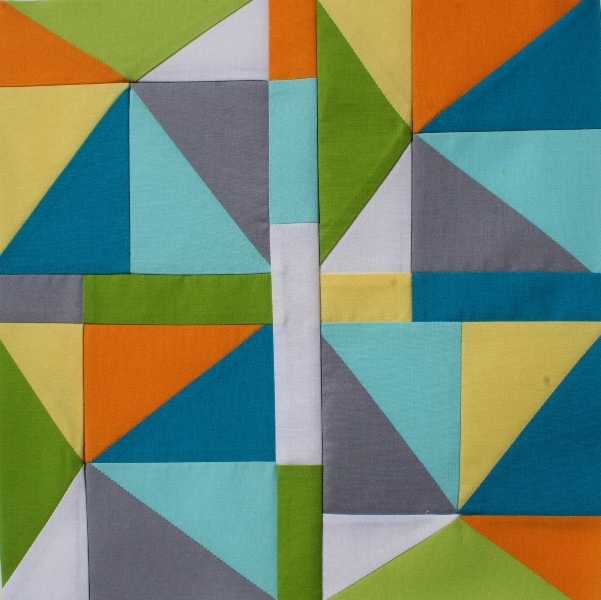 Block Twelve for Moose on the Porch Quilt-along! Yahoo! 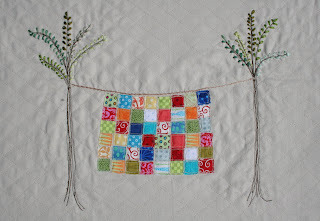 The last block for this fun quilt-along. This one is a little color crazy but I am almost out of fabric and I was absolutely determined not to use anything but the jelly roll. Ahhh, done! Well, almost. Still have to do a layout and stitch it all together, but that is the easy part! 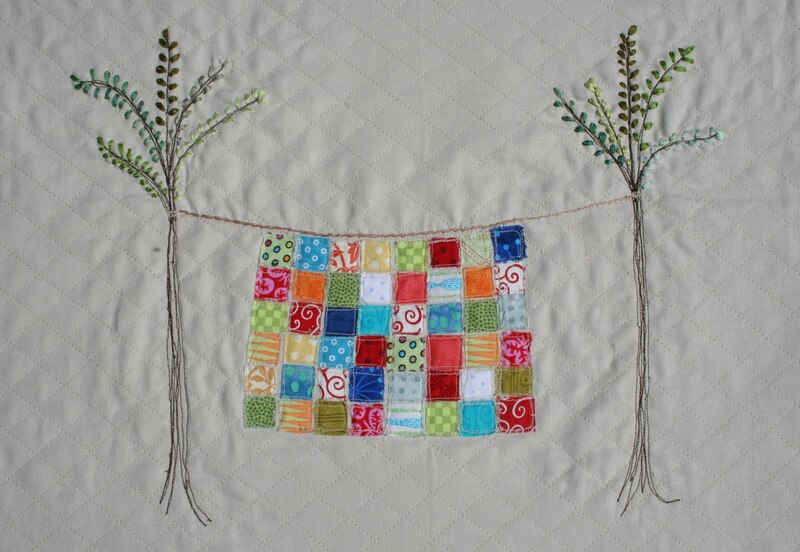 It is so satisfying to get to this point in a quilt. The blocks are done and there is light at the end of the tunnel! As the round robin progresses it is becoming more interesting and a little more challenging. 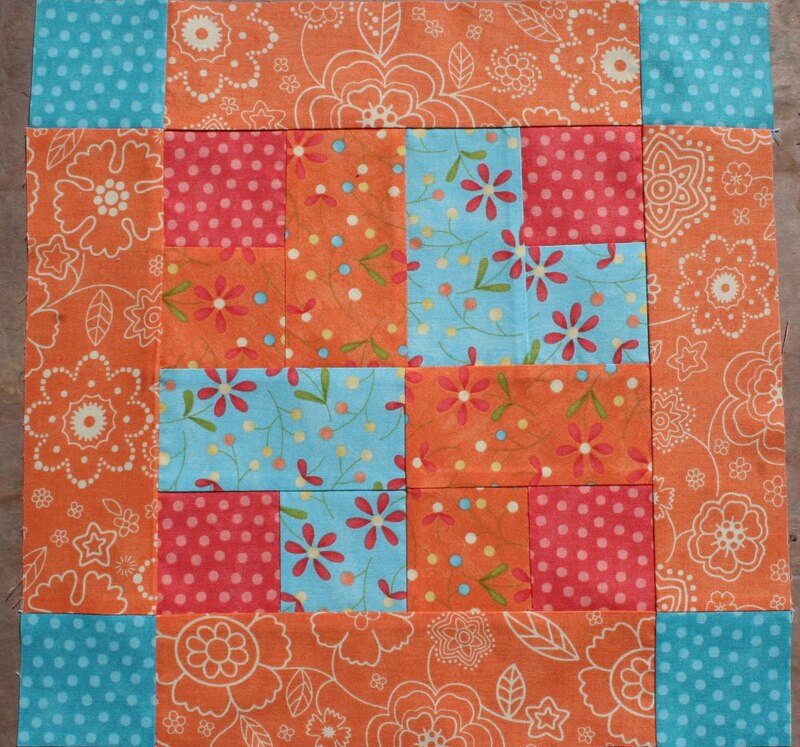 This starter block came with three other blocks for me to consider in choosing my pattern and fabrics. The next block I receive will have four other blocks with it. Each successive block will have more visual elements to be taken into consideration in the design process. 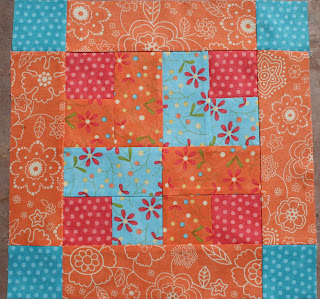 I love the challenge of making a pattern that will complement the other blocks. 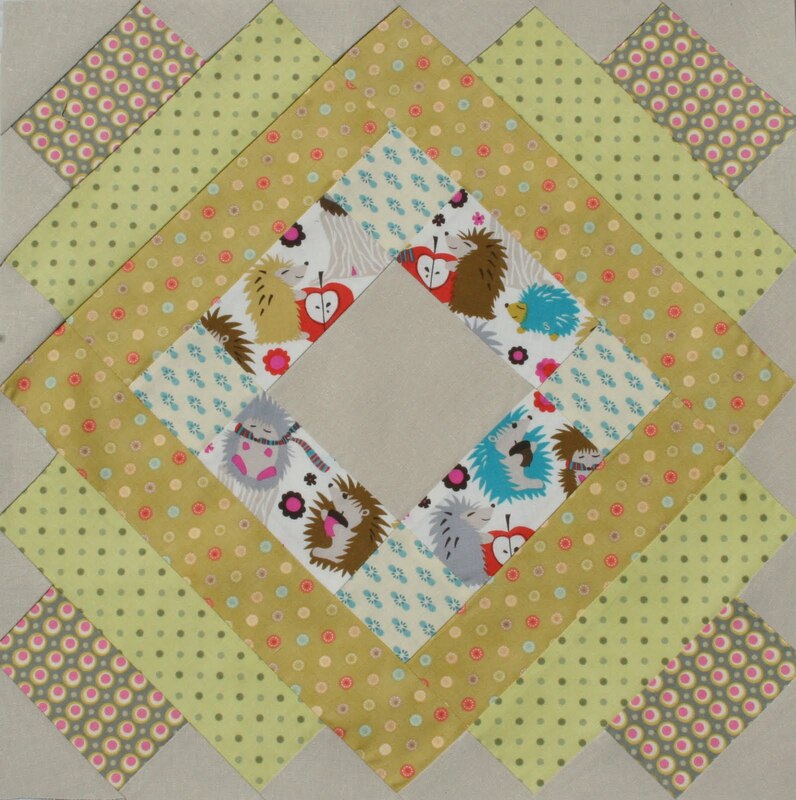 This project is helping me grow as a quilter and provides me with the opportunity to get creative!